Kateryna Handzyuk a resident of Kherson (a Black Sea Port) is an activist who was conducting investigations into police and political corrupt practices in her country Ukraine. As a result of her investigations, the local state officials were not happy and late July a man poured sulphuric acid on her as she left her home. This burnt at least 30% of her body. Despite that happening, Kateryna Handzyuk did not stop her criticism of corrupt state officials and instead spoke out against them from her hospital bed. She further called for a thorough investigation and persecution of those who attacked her. As a result of the acid burns that Kateryna Handzyuk had were operated 11 times before she lost the battle and went to be with the Lord. Kateryna Handzyuk had 11 operations before she finally succumbed to her injuries on Sunday. Members of the European Union Commission have demanded for thorough investigations towards the murder of the activist. 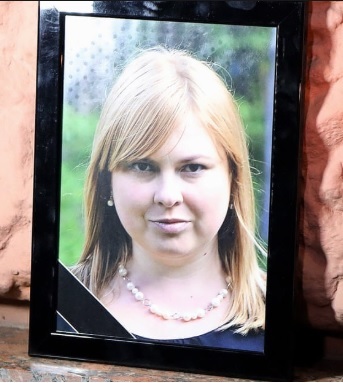 The murder of Kateryna Handzyuk is one of the events which has shown that civil society organizations are operating under dangerous grounds in danger in Ukraine. At Kerosi dotcom we send our condolences to the family of anti-corruption activist Kateryna Handzyuk.